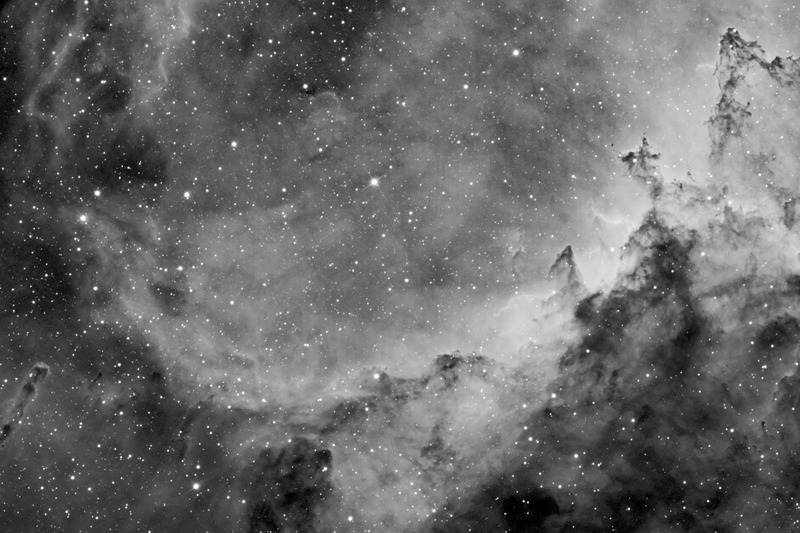 Narrow band hydrogen alpha filters greatly increase the contrast in emission nebula. These objects emit H-Alpha light, having a wavelength of 656.3 nm (Red light). I use a 6nm Ha filter, which basically allows wavelengths of 653 to 659 to pass. Everything else is filtered out, including city light pollution and moonlight. Most of the data, for the images on this page, were taken when the moon was very bright. Although the images are simple black and white, I find them pleasing in a more artistic sense.